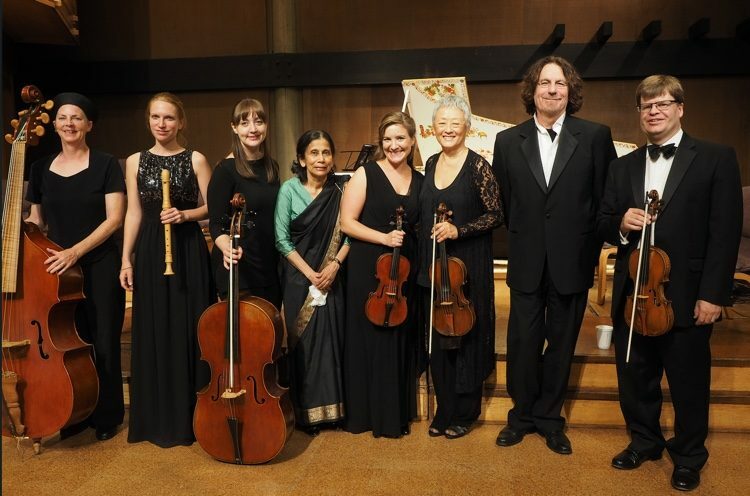 California-based Con Gioia, with founder and music director Preethi de Silva at center, will honor Couperin in March. When François Couperin was born on Nov. 10, 1668, into a renowned musical family in France, surely no one suspected he’d be the one nicknamed “Couperin le grand,” as important to the Couperin legacy as J. S. Bach was to his family’s name. As he turns 350, François is still celebrated, and birthday parties are planned all over the globe. 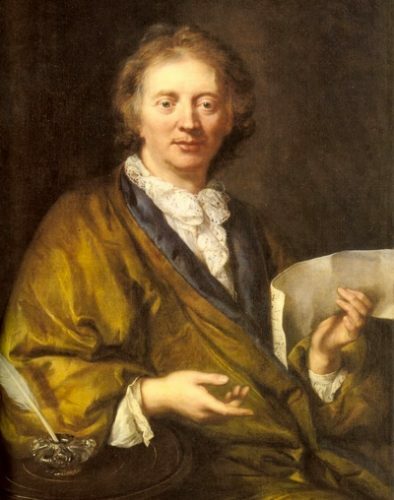 Many of the musical fêtes will feature the harpsichord, which is appropriate, considering that Couperin was among the most celebrated harpsichordists of his day. His book L’Art de toucher le clavecin remains a bible for period keyboardists, particularly those studying the French Baroque. 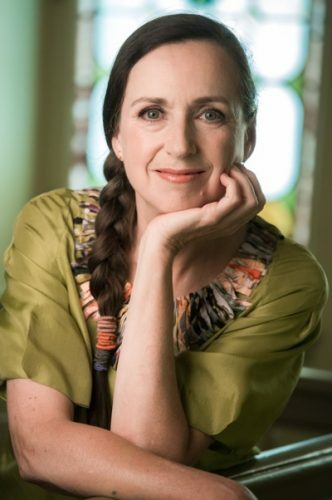 That period is a specialty of Quebecoise musicologist, harpsichordist, and organist Geneviève Soly, who teaches at the University of Montreal and is the founder and artistic director of the ensemble Les Idées Heureuses (named after a piece by Couperin!). But that concision is deceiving to listeners, Soly believes. “The audience hears this short piece and thinks, ‘Oh, that’s cute.’ The pieces seem so simple that a child could have written them.” One of her goals is to demonstrate to audiences just what a great and complex composer Couperin was. 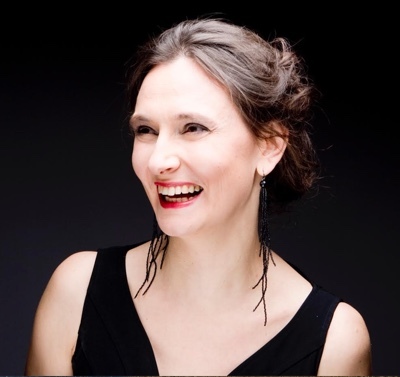 On May 10 at the Montreal Museum of Fine Arts, she’ll perform a solo recital called Couperin and Graupner Reunited. As she’s done all season, she pairs the music of Christoph Graupner (1683-1760) with that of a more famous composer, in this case Couperin. The link between these two is the year 1722, when Couperin published his Third Book of Pieces for Harpsichord and Graupner his Monthly Fruits for Harpsichord. Martin is also committed to passing along the art of playing and appreciating Couperin’s music to her students. It’s not easy homework. “The more one studies it, the more one discovers its technical and musical demands,” she said. While Couperin is best known for his more than 200 solo harpsichord pieces, he also composed for other instruments — solo and ensemble — and occasionally voice. (Despite working for opera-obsessed Louis XIV, he wrote no operas.) Some of the birthday celebrations will include these other works. For example, on March 4 at the First Parish in Lexington, MA, Sarasa Music offers a recital of music for viola da gamba (Reiko Ichise) and baroque cello (Jennifer Morsches) by Couperin and others. 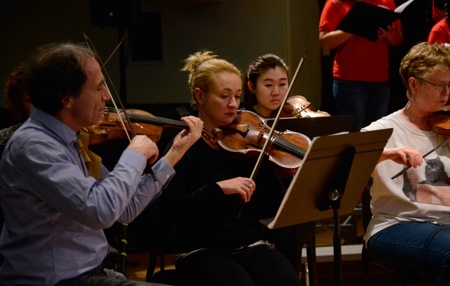 The Pacific Baroque Festival led by baroque violinist Marc Destrubé, left. If you want atmospheric authenticity, how about a Couperin concert in the Chapelle Royale at Versailles? On March 24, La Poème Harmonique will be joined by soprano Deborah Cachet and mezzo-sopranos Eva Zaïcik and Giuseppina Bridelli for Trois Léçons de ténèbres. What might be less expected than Couperin’s popularity in France is the fervor that seems to have gripped the U.K. The London Festival (formerly the known as the Lufthansa Festival) of Baroque Music (May 11-19) will have a French theme, “Treasures of the Grand Siècle.” Although few program details had been announced at the time of this writing, it is known that the guest artistic director for 2018 is conductor Sébastien Daucé, and Couperin’s 350th will be celebrated. The Jerusalem Baroque Orchestra will perform “French Exotica” in three Israeli cities. As part of the St. Albans International Organ Festival, James Johnstone will play Couperin’s Messe propre pour les Couvents de religieux et religieuses. And on the composer’s actual birthday, Nov. 10, a host of keyboardists will come together at Emmanuel College, Cambridge, for a Couperin blow-out. Other European countries are celebrating, too. In Stockholm, Håkan Dahlén will give an organ recital interspersing pieces by Couperin with movements of Jean Guillou’s 1978 work Jeux d’Orgue on Jan. 19 at Konzarthuset Stockholm’s Stora Salen. Harpsichordist Jean Rondeau performs an all-Couperin program in Barcelona’s L’Auditori Sala Oriol Martorell on March 8, featuring the First and Second Books of Pièces de clavecin. And Bachfest Leipzig will present the winner of the 2018 Leipzig International J.S. Bach Competition in a recital celebrating Couperin. The composer’s esteem reaches beyond Europe and North America. In April and May, the Jerusalem Baroque Orchestra, under the direction of David Shemer, takes a program called “French Exotica” (advertised as marking Couperin’s birthday) to three Israeli cities. Russia gets in on the festivities when Fedor Stroganov presents a solo harpsichord recital at the D. D. Shostakovich St. Petersburg Academia Philharmonia on Jan. 23. This is by no means an exhaustive list of Couperin-related events. And it doesn’t even mention the dozens of scheduled performances of Ravel’s Tombeau de Couperin in every possible arrangement (including George Balanchine’s 1975 choreography at New York City Ballet in April). Plus, some 2018 series and festivals have yet to announce their details, so there may be even more birthday cakes baked for our dear François. Anne E. Johnson is a freelance writer based in Brooklyn. 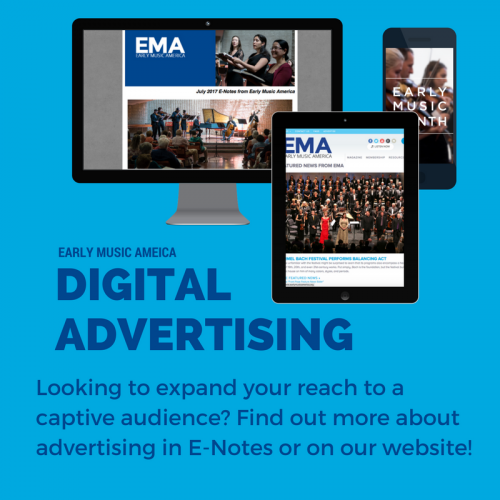 Her arts journalism has appeared in The New York Times, Classical Voice North America, Chicago On the Aisle, and Copper: The Journal of Music and Audio. For many years she taught music history and theory in the Extension Division of Mannes School of Music.